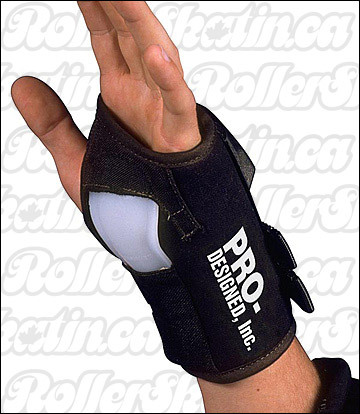 The Pro-Designed Wrist Guards take protective gear to the next level. They are padded and constructed of 100% cotton duck with Cordura reinforcement in the high-pressure impact areas. The splint (spoon) is designed to disperse impact over a wider area. Extremely comfortable, they maintain the P.D. standard for protection and durability. Quality Made in U.S.A. Set of 2 Wrist Guards.